Developed by Maria Montessori in Italy during the late 1800’s, Montessori education is a popular method of alternative schooling – there are over 5,000 schools in the U.S. and around 10,000 worldwide, providing education from pre-school through high school. The two founders of Google were Montessori graduates, and they credit it for much of their success. But what is so special about Montessori and why is it growing so fast? Here are four unique aspects that you can bring into your home. Self-Driven Learning. The foundation of Montessori is independent and individualized learning, driven by the student. The child is given choice to select activities they will work on during the day, while the teacher guides the child. This combination creates empowerment for the child with an adequate support system in the background – a concept of freedom within limits. Review your style of working with your children. Is there a good balance of freedom and structure? Meticulous Classroom Arrangement. Classrooms are carefully set up with special materials placed in the right spots to optimize the environment for learning. This arrangement promotes individual discovery with a sense of order, while the teacher guides the child’s discovery process. Consider the design of your home learning environment. Does it promote a sense of discovery within order? Multi-age Groupings. Mixing age groups within classes fosters peer learning – younger children learn from older children while older children reinforce concepts through teaching. There is constant interaction, socialization and problem solving between students of different ages. This is similar to real world situations where individuals are required to work with people of different backgrounds and calibers. Analyze your environment. Are your older children teaching the younger ones? Uninterrupted Blocks of Work Time. In Montessori schools, classes are not organized by 1-hour subjects, but rather extended work periods – ideally three-hours long. Older children also work within teams for extended sessions. This provides space for true concentration and encourages deeper learning. Consider whether there is adequate uninterrupted work time in your home. There is always something good to find in methodologies that are different from our own. 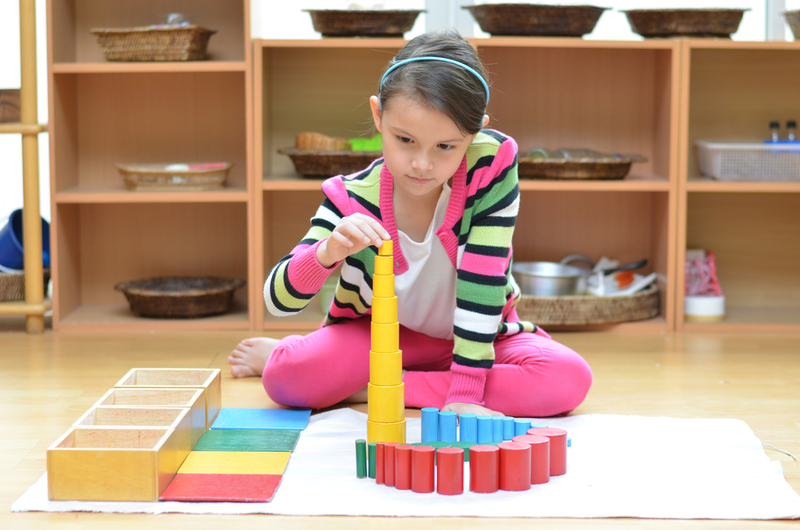 You can enhance your home learning environment by employing these Montessori methods. Try them out and let us know how it goes!